From underground bunkers and tactical weapons to heavily armored vehicles, they were taught new ways to deal with a zombie apocalypse or a natural disaster – and also met some TV stars. 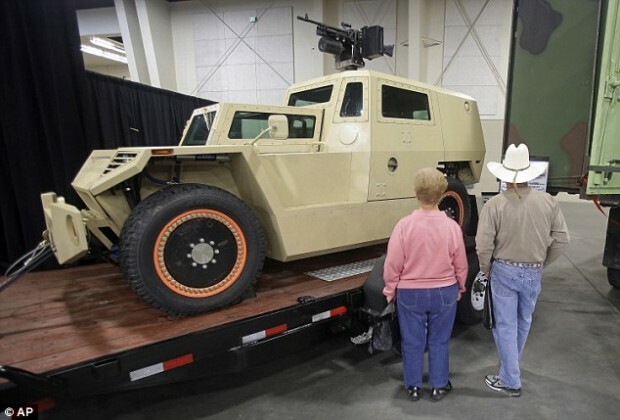 Hundreds of survivalists and so-called ‘Preppers’, of all ages and levels of ‘experience’, descended on the Salt Lake City, Utah, suburb of Sandy on Friday for the nation’s first ever PrepperCon. During the two-day expo, they were shown specially-equipped underground bunkers, learned new ways to store food, tried out solar powered flashlights – and even dressed up as zombies. They were also greeted by actors from the AMC hit show ‘The Walking Dead’, including Addy Miller, who took pictures with fans and acted as a judge in an emergency preparedness food cook-off.